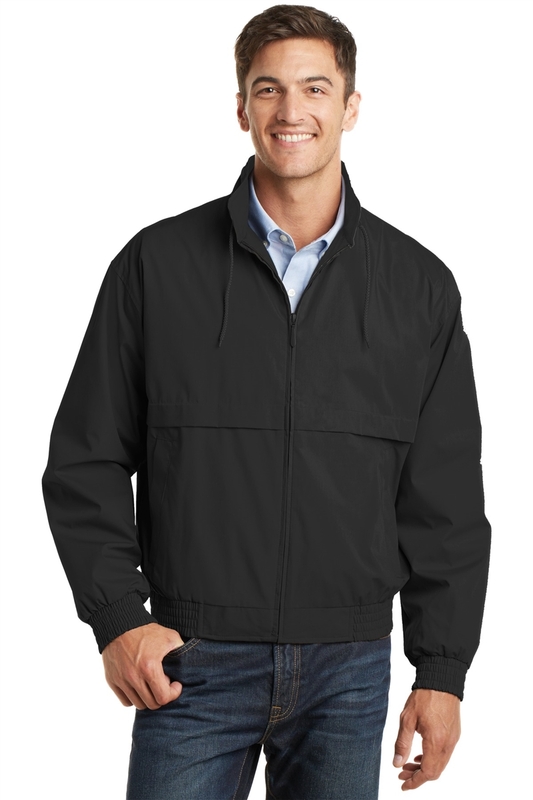 This jacket?s casual style is perfect for any occasion. The sleeves are lined with nylon to make it easy to pull on and off. The contrasting colors on the collar and body, and drawstring collar with cord locks give this jacket its distinctive look. 65/35 poly cotton shell is lightweight and water repellent, mesh body allows for air circulation. Sizes include 5XL and 6XL! It is available in a variety of colors (first color is the jacket color and the second color is the inside color).